Liesel Meminger’s life isn’t so great; her brother died not too long ago, her mom is taken away and she is left to foster parents. When she sees a book lying on the ground at her brother’s funeral, she picks it up, and keeps it. So begins her childhood as a book thief—fascinated by books, by words. Her foster mother is not the nicest person—she calls Liesel words that shouldn’t be said to a child. She bonds with her foster father Hans though, over late-night story-times, writing lessons in the basement, and accordion playing. Hans isn’t quite a Nazi; his loyalties lie somewhere else. That life, knowing what to expect and that continuity is disrupted by the son of Hans’ friend from the war, who shows up at their front door. Max is a Jew, and he is looking for help. So the Hubermanns take him in, give him a hiding place in the basement to stay and provide him with food. Over the time, he and Liesel become friends and realize that they have a lot in common. They share memories, and spend time together. The only thing is, he has to be kept secret. If someone finds out, the consequences won’t be good. This is the story of a young girl, growing up and living life surrounded by Nazi Germany, stealing books and living with a Jew. Narrated by the unique voice of death, this acclaimed novel is definitely worth reading. This book was very enjoyable. With the narration of death, it had all sorts of fun different perspectives of looking at the world. It is written in a really quirky and awesome way; it’ll be in the middle of telling a story of someone dying, and then it’ll break into this little mini-paragraph and say something like “The sky was the color of burning newspaper.” It was intriguing and the story was great, as were the characters. You know, this was a weird book. In a good way. It kind of HAS no summary. Call me crazy, but in my mind it was one of those books that you can’t really describe, other than “a girl living in Nazi Germany.” Does that make sense? Probably not. I absolutely loved Zusak’s writing style, and I think this definitely deserved the Printz award. 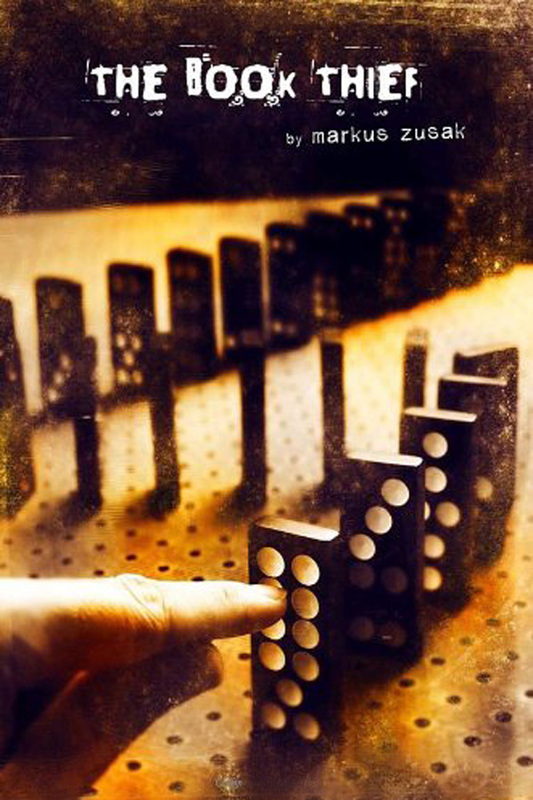 I look forward to more Markus Zusak! I am thinking of reading this. It sounds great!